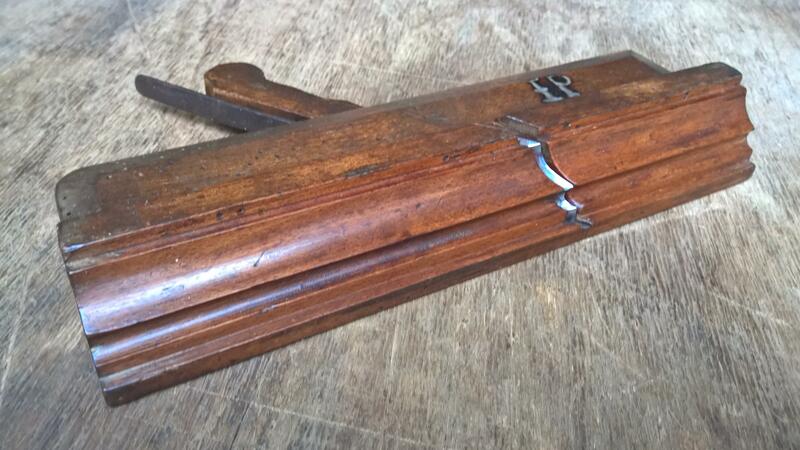 A recent addition to a private collection is this early 18th century English moulding plane with wonderful features. With flat, very wide chamfers, fantastic shoulder detail and gouge cut finishes at the toe and heel. The plane bears no obvious maker's mark but this is not unusual for planes of this age. 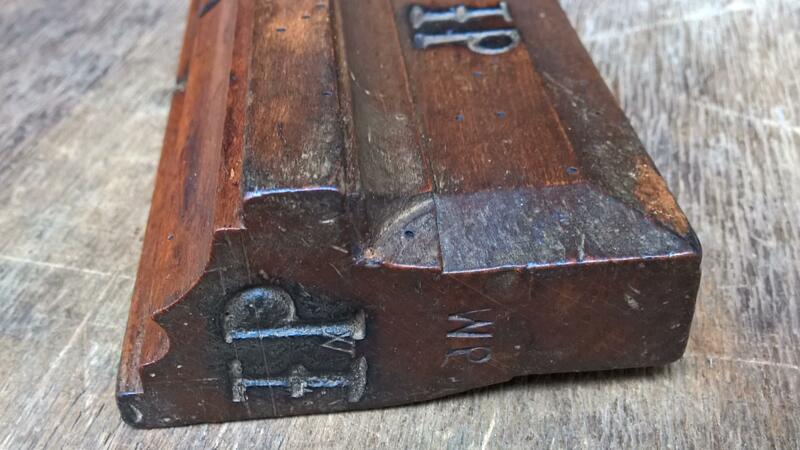 The 'WP' and 'IP' marks are thought to be from previous owner's, the second initials indicating the possibility of two generations of the same family. 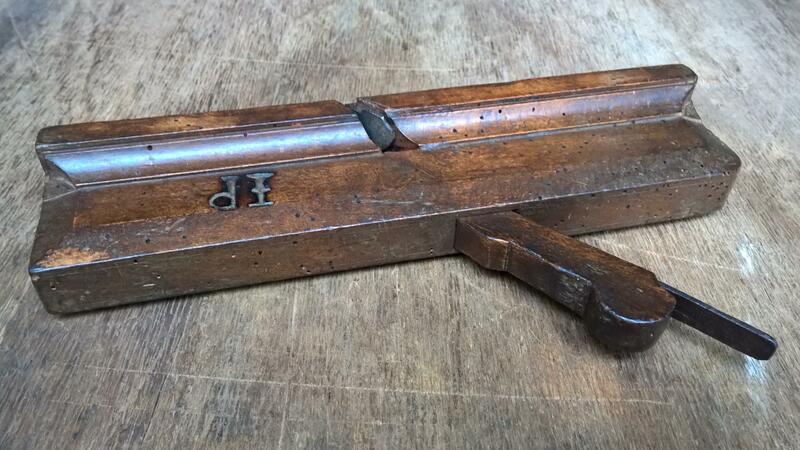 This plane has no spring and is fitted with a Robert Moor blade iron, the early mark without the 'e', and a very shapely wedge. 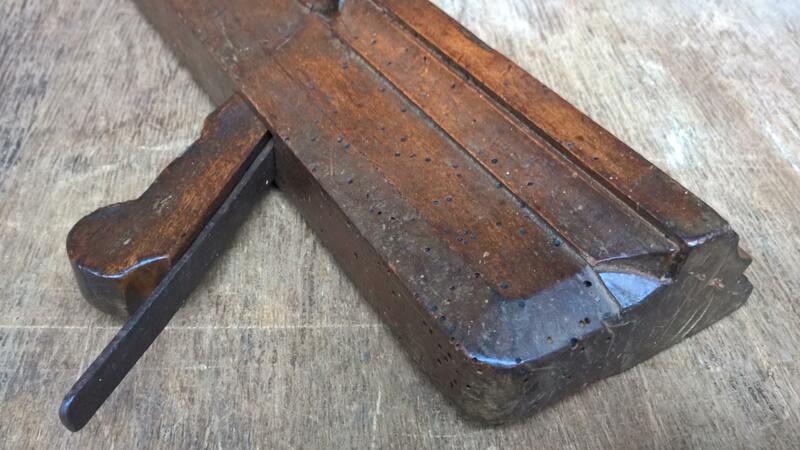 The original scribe marks for the blade and wedge mortice can still be seen on the top of the stock. A long plane at 1015/16 inches overall and 15/8 inches wide. Although it has suffered a little from 'the worm' the stock is still firm and this plane is a very welcome survivor allowing a look back into English plane making history.